Although your own home garden can be the best source for organic produce, leaving you without concern for dishonest labeling or other misleading practices, space is often a premium. When you must economize your growing space, it is more important than ever to focus on the best nutritional bang for your buck. What you need are garden superfoods that are simple to grow in your limited space and which provide the best minerals and nutrients. We have compiled seven of our favorites, including a few familiar staples and a few exotics that you may have never considered before. 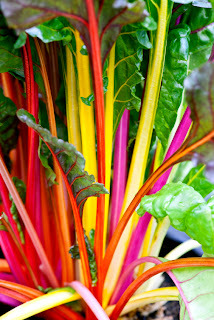 Swiss chard is as colorful as it is hardy. It does best with plenty of sunlight, but only needs about a foot of organic soil to reach its full growing potential. This leafy green is one of the best sources of magnesium that you will find, making it an ultimate brain food. You probably already have experience growing these hard-to-kill cacti in pots or other small containers. They require very little space and nearly everyone is familiar with its use in treating burns and helping scratches to heal. However, when ingested, aloe vera is packed with vitamins A, C and E, and it is a strong anti-fungal and anti-bacterial food. Garlic is one of the easiest root vegetables to grow, and it is simply filled to the brim with vitamins, minerals and antioxidants. It’s positive effect on cholesterol makes it the perfect choice for the heart-conscious organic gardener. Plus, there are very few dishes that are not improved by a clove or two of garlic. You may have heard these tubers referred to as Jerusalem Artichokes or sun roots. This plant is a member of the sunflower family, but instead of producing oil-rich seeds it produces potato-like roots. These tubers are sweeter than potatoes and have a hint of leafy vegetable flavor, and each is rich in potassium, iron and B vitamins. Sunchokes are also a natural source of inulin, a powerful prebiotic. Carrots are one the most container-friendly, easy-to-grow root vegetable around. This excellent source of beta carotene and antioxidants is also one of the few vegetables that is actually more nutritious when cooked, so long as the skin is left intact. This unusual green grows upward, rather than outward, and forms small tree-like stalks. Like other collards, tree collard is rich with vitamin K, magnesium and calcium, and tree collard has more protein by weight than beef or chicken. Blue potatoes have a purplish skin, which becomes a vibrant blue when cooked. Like its whitish cousins, blue potatoes are easy to grow and packed with essential nutrients. Unlike its more common counterparts, however, blue potatoes also contain mood-improving iodine and anthocyanin antioxidants.